Journalist, MP (1988-1993), MP (1994-1997), MP (1997-2000), MP (2001-2004), Lieutenant-Governor of Manitoba (2004-2009). Born Harvard Heidman at Glenboro on 4 June 1938, son of Adalgrimur “Harry” Heidman (1891-1965) and Mabel Olivera Johnson (1897-1979), he adopted the name John Harvard when he became a broadcast journalist. He worked from 1957 to 1988 for the CBC and CJOB radio and television stations, and received an ACTRA award in 1976. In 1988, he elected to the House of Commons, representing the Winnipeg St. James constituency, and was re-elected in 1994 and 1997. 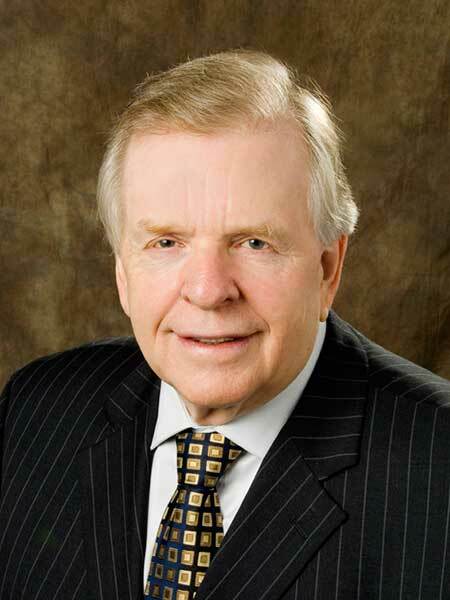 He did not stand for re-election at the 2004 general election, when he was appointed Lieutenant Governor of Manitoba. In recognition of his community service, he received the Canada 125 Commemorative Medal (1992), Queen Elizabeth II Golden Jubilee Medal (2002), Queen Elizabeth II Diamond Jubilee Medal (2012); he was inducted into the Order of the Falcon (2000), Order of Manitoba (2004), and Order of St. John (2007); and he received an honorary doctorate from the University of Manitoba (2005). He was married three times and had five children, two of whom predeceased him. He died at Winnipeg on 9 January 2016. Obituary [Mabel Heidman], Winnipeg Free Press, 20 December 1979, page 58. “St. John Ambulance Awards,” Winnipeg Free Press, 24 June 2007, page 19. Obituary [Bernice Mae Anderson], Winnipeg Free Press, 6 April 2009, page 28. Obituary, Winnipeg Free Press, 16 January 2016. We thank Phyllis Fraser for providing additional information used here.